David has been a productivity expert for more than 30 years. He has written books, conducted seminars and currently provides courses, coaching services and speaking engagements around the world. We here at Exaclair were thrilled to discover that David is a fan of Rhodia products! He uses them for his personal productivity, and with his clients. 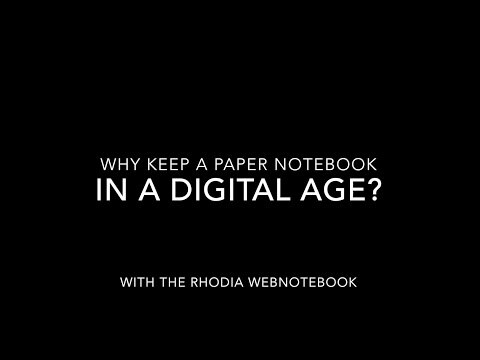 I was very excited to talk with him about his thoughts on Rhodia, paper in general, how to use paper as a productivity tool, and what he thinks is the future for paper products. You can hear the audio recording of the interview below. (The audio begins at 7 seconds.) We had a few connectivity issues during our Skype chat but the audio sounds good. Many thanks again to David!